How Did The Armistice End The First World War? In the autumn of 1918, Germany and its allies were exhausted. Their armies were defeated and their hungry citizens were beginning to rebel. As early as 29 September German General and Stategist Erich Ludendorff decided that a cessation of hostilities must be sought. The need became more urgent as Germany’s allies began to drop out of the war. The German government approached the United States with a request for an armistice. They hoped that this would be based on the 'Fourteen Points' laid down in January 1918 by US President Woodrow Wilson as a foundation for 'peace without victory'. By October however, with their troops bloodily engaged on the Western Front, American attitudes had hardened. The armistice negotiations were not in fact conducted by the Allied governments, but by their commander-in-chief, Ferdinand Foch. He ensured that its conditions made it impossible for the German Army to recommence fighting. The abdication of Kaiser Wilhelm II and the formation of a democratic government in Germany were necessary adjuncts to the armistice. The generals ensured that the new Socialist government was tarnished with the humiliation of the defeat for which they themselves were responsible. The signing of the armistice was greeted with varied responses. In many Allied towns and cities - especially those freed from enemy occupation - there were scenes of happiness. However, the celebratory mood was tempered by the grief of the many thousands who mourned for the war dead. Away from the Western Front, the signing of armistices did not necessarily mean an end to conflict. Fighting continued while peace negotiations got under way. This photograph, taken by official British Army photographer Ernest Brooks, shows Captain Paget MC and Second Lieutenant Barry MC of the 1st Battalion, Irish Guards, reading full details of the armistice with Germany to their men on 12 November 1918. 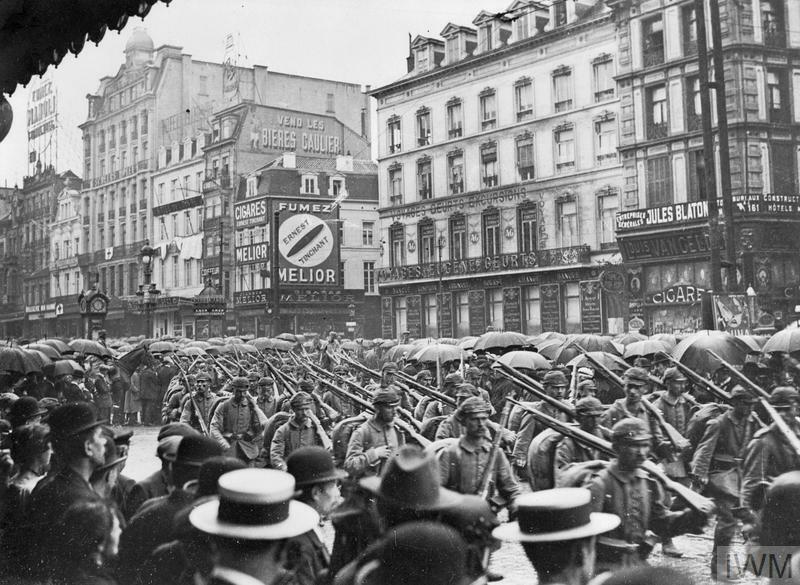 All military operations had ceased on the preceding day at 11am on 11 November 1918. Episode 47: In early October 1918, Germany, no longer able to continue the war, approached the United States about an armistice. 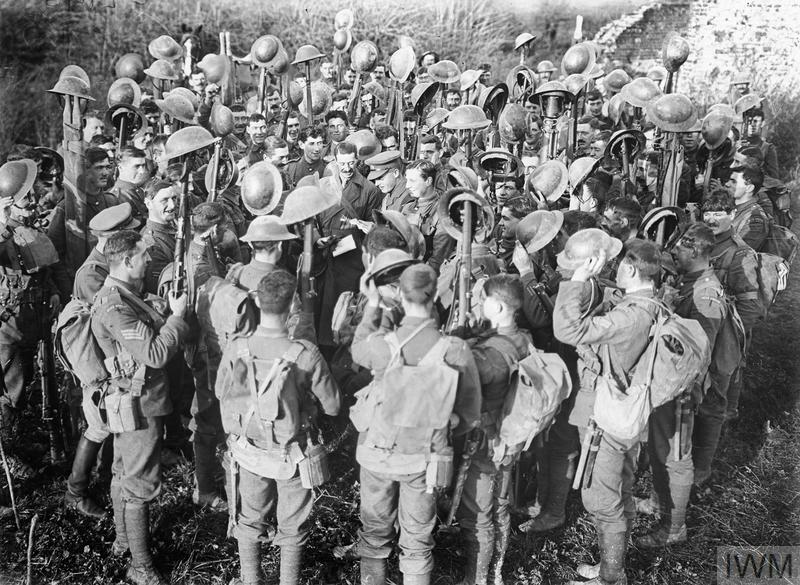 Many ordinary British soldiers on the Western Front recall having a sense that the war was drawing to a close.